Celebrate the back-to-school season with a trio of cocktails. Take your pick of the Harvard, Princeton, or Yale or try all three. It’s difficult to date when these drinks were created. The Yale, according to this article, dates back to 1892. 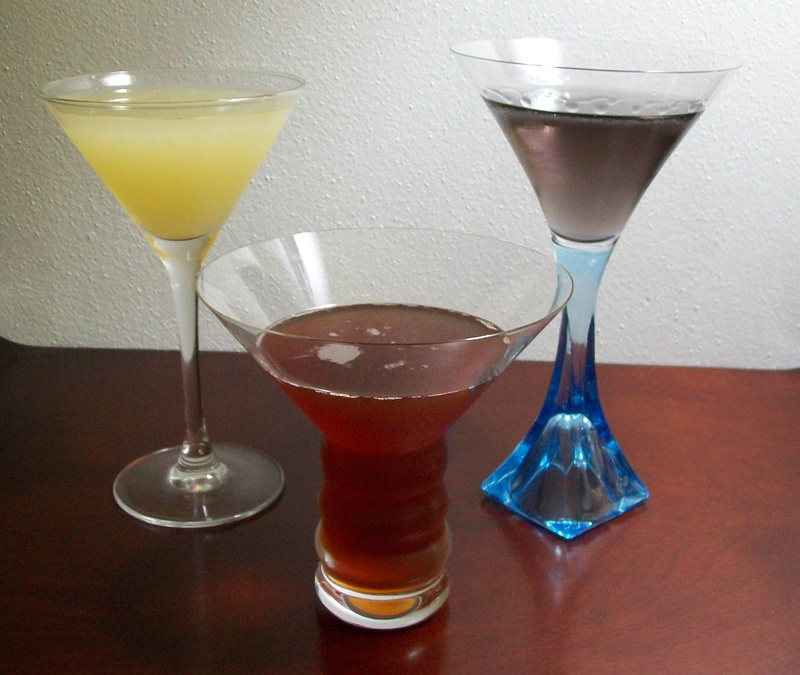 Other sites suggest all three drinks were around by 1900. I’d imagine all were created about the same time, competition and school pride likely coming into play. You know … if they have a drink, then we must have one, too! For some reason, I’d half expected Harvard to be the first one invented, but I’ve only been able to verify the Yale. Just a note about the Crème de Yvette used for the Yale. This floral and berry flavored cordial isn’t readily availble. In fact, for many years it wasn’t available at all. In 2009, the liqueur was revived by the one of the original producers, Charles Jacquin et Cie. Another coridal, Crème de Violette is similar and may be substituted, but it, too, may be hard to come by. Pour 2 ounce of brandy and 1 ounce of sweet vermouth in a shaker over cracked ice. Add in a dash or two of bitters, 1 teaspoon of grenadine, and 2 teaspoons of lemon juice. Fresh juice is generally a plus, but with such a small amount needed, bottled lemon juice is suitable. Shake thoroughly and strain into a cocktail glass. For Princeton: Gin, Dry Vermouth, and Lime. Pour 1 1/2 ounces each of gin and dry vermouth in a shaker over cracked ice. Add 1/2 ounce of lime juice (fresh juice is definitely a plus here). Shake gently and then strain into a cocktail glass. Pour 2 ounces gin and 1 ounce dry vermouth in a shaker over cracked ice. Add in a dash or two of bitters and a teaspoon of Crème de Violette. Shake gently and strain into a cocktail glass. How I like it: I’m a little bit more generous with the dashes and teaspoons, but otherwise stick to the proportions stated. It’s best to use a straight brandy (or cognac) for the Harvard drink, but if you like a little extra sweetness, try an Apricot-Flavored Brandy. The Princeton is a sour type drink, similar to a Gimlet or Tom Collins. For the Yale, it’s best not to use too much Crème de Violette or it may overpower the other flavors of the drink. For a time, blue curaçao was used in the absence of the Crème de Violette, but the latter is the traditional and better option. I’d be willing to say that I liked the Harvard best, especially with the Apricot-Flavored Brandy, and the Princeton least among the three. Study hard, but drink responsibly!